The food and service were great, but I think the entrees especially were overpriced. Great food, bar, and service. Great food, met one of the partners, it was amazing! Delicious food and reasonable prices. It was delicious! I’ll definitely be back with friends. Food was great. Server was lame. Exposed me to a new restaurant I'd never heard of. 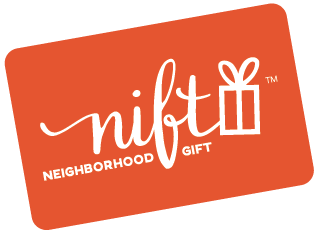 Thank you Nift because if it hadn't been for you we would not have discovered Johnny's on our own. What a great neighborhood place! We will return with friends next time. My friend and I enjoyed cocktails at the bar. Staff were A+ and atmosphere on a Saturday night was relaxed despite how busy the place was. Would love to check out their happy hour in the future. one of the best meals I've had in dc! The food was delicious and the atmosphere was great: busy, but not too loud. The Wednesday Windfall deal is great! Very fun to try new dishes. The manager was so welcoming and came over to chat when he learned we were using a Nift. I had never been to Johnny's Half Shell before but will be back frequently! Great food and service - we plan to return! Loved everything I had to eat. Oysters, shrimp and grits, and rock fish. And then the lemon crest pie. I’ll be back. This place was amazing! Everyone was so friendly, the food delicious, and the atmosphere perfect to unwind after a long day. I will definitely be back here, with or without a gift certificate! Awesome spot in the neighborhood. Hadn’t gone in before (not for any particular reason really) but will definitely go again! Great food. Friendly service. Upscale decor. Highly recommend. This was a great opportunity, I would have never had dinner there. The place looks wonderful inside, which is hard to tell from outside. Staff is very friendly. The cocktails are delicious and prepared with care, and so was the meal. The gift was not the best match because I am vegan, but I took a friend who loves seafood and I was able to have a side dish. This place was fantastic. We will definitely be returning, a nice neighborhood discovery! It is very nice environment and good service!